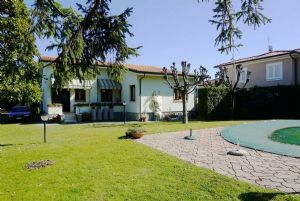 Symbol of elegance and charme, this single villa for rent is envolved by a nice garden which preserves the silence oasis from the summer life of Forte dei Marmi. 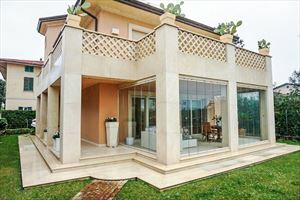 A modern detached villa (200 sq.m.) 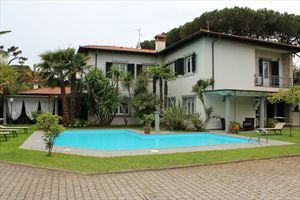 with a garden (600 sqm) located in the central part of Forte dei Marmi about 700 meters away from the sea. 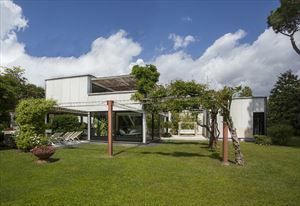 In the garden, there is a parking and an external oven. 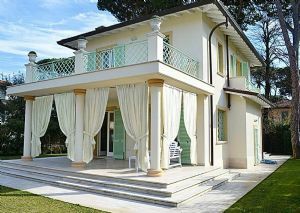 The villa is equipped with air conditioning, an alarm system, internet Wi-Fi, an automatic gate. 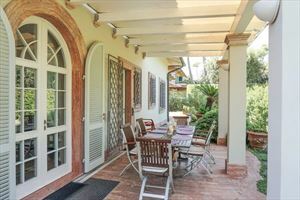 The ground floor includes a covered terrace with outdoor furniture, a living room, a dining room, a kitchen, a bedroom and guest bathroom. 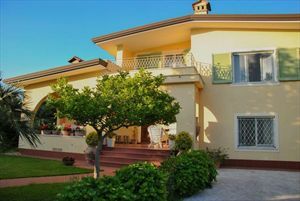 Upstairs are 3 bedrooms with ensuite bathrooms and fitness area.